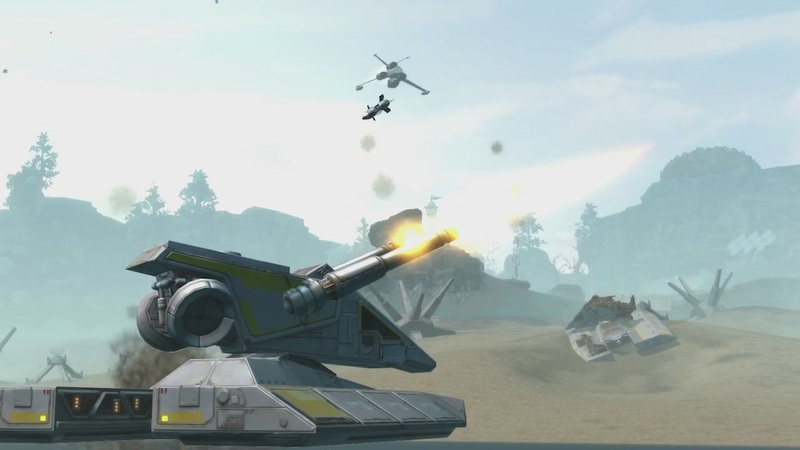 Will The Next Star Wars: The Old Republic Update Make It The Game You Want To Play? Today BioWare released a video outlining the sweeping changes coming to Star Wars: The Old Republic in game update 1.2. With the evolution of the game's Legacy system and new Warzones, Flashpoints, and Operations in the pipes, is it sad that what I'm most excited about is new lightsabre colours? Yes, this is very sad, but you can't stand behind a man and his pink lightsabre. Don't worry, I'm excited about some of the other things too. Customisable armour appearance? New vanity pets? Count me in for the long haul, Darth baby. Maybe I'm alone in this, but I don't like it because it requires too many buttons to play properly. And I'm being serious by the way! I think this means I just don't like MMOs. So, I guess I'm asking, will the next patch turn it into KoTOR 3? yeah thats generally how mmo's work. You want to divide your button pressing up with clicking though. As I get better at the game, I find that most of the abilities are very conditional and there's only a few I use constantly so the overwhelming options problem I initially had isn't really so bad. Say with my trooper, there's 4-5 attacks that I use all the time and the rest is stuff I use to open a fight (with area damage or stunning a really tough enemy) or abilities that are otherwise used in certain conditions like when a target is stunned so on balance I very rarely use them. I found that rearranging the hotbars to reflect how often I use abilities made a massive difference, as has mapping the function keys to the lower centre hotbar slots. The lack of inbuilt macro commands kind of make it harder than WoW. but you pick up active abilities fairly gradually so you have enough time between each one to familiarise yourself. But endgame you'd have maybe half a dozen you use all the time + a handful of situational ones. Easy enough to map 1-5 with Q, E, T and shift/ctrl variants. At this point it just boils down to repetition and muscle memory. Maybe I'll pull my 50 Commando out of an early retirement. Maybe. I couldn't get in to SWTOR, despite being really excited about it. The gameplay was too bland and grindy, it felt like another standard MMO with a nice coat of story over the top. Can someone explain why LucasArts got BioWare to do a Star Wars game for them? I mean LusacArts have done X-Wing, Tie Fighter Sims, Jedi Knight, Monkey Island, Day of the Tenicle (bad spelling there), the Jones adventure games, Dig and the list goes on but now they seem to be nothing anymore. Can we have an article diving into why this great software company is now nothing? I'm being harsh I know, sorry but what happened or is happening? The answer to that is, because BioWare made Kotor for them which is better then all other star wars games ever created. I think what he is getting at is, why are LucasArts not really making any games anymore? A fair question. NO! NO EXCEPTIONS!! TIE Fighter was the best evaaaar! Yeah I do mean why LucasArts aren't making anymore games, no more adventure games, Star Wars Sims like Tie Fighter and X-Wing (I WOULD BUY THAT WITH TODAY'S GRAPHICS), no more FPS games. I admit that one of the things that may have ruined the company is the focused solely on Star Wars games instead of continuing on with things like 'Full Throttle' or 'Monkey Island' etc etc. Is there some way we can have an in-depth (very deep) article on LucasArts and you can call it "Mega Star to Who?" because it really does feel like that. Evolution of the legacy system? Surely you mean INCLUSION of the legacy system since at the moment it's just accumulating XP and a 'coming soon' page. Screw legacy system, there are more glaring oversights that need inclusion. I'd like a LFG tool and summon stones. Trying to pug daily instances is a chore, even on the populated Swiftsure server. A shift+click on names to display player information would also be a godsend. A mobile app to chain companion skills like WoW's mobile auction house would amazing. Ok spelling Nazi time..LIGTHSABER....not ligthsabre....but really if you are gonna write a story about a Star Wars product, surely you can use the correct spelling of one of the most iconic sci-fi weapons ever?!?!?! You don't desrver your pink lightsaber Mr Fahey. Additionally, you're consistently spelling "light" wrong. Eh, in Australia we spell it "sabre". There's nothing wrong with "lightsabre"
Sorry Bioware (or should i say Mythic?) but adding a guild bank tab wont make me resub. A monkey island MMO would just be too hazardous. Too many people would be dying laughing. How about a crafting system that gives you armour that isn't constantly crappier than the stuff that drops from raids, flashpoints and even some normal quests? That actually bugged me to the point where it was one of the reasons why I cancelled my subscription. Also, I've rarely been able to find a group to do the flashpoint I want. It's fine for the earlier ones cuz you can solo them eventually. The endgame ones always tend to be a nono though. Guild Wars 2 will be THE game to get when it comes out.